Ever since he started questioning the motives of the 6th Flagrant Vandals, Ves regarded his posting in a different light. The undercurrent of discontent and the general apathy towards the Mech Corps may not be confined to the lower ranks. What if the underlings merely reflected the honest att.i.tudes of their superiors? Sitting behind his terminal, Ves turned around his head and regarded Alloc and the Apprentices in a different light. Besides the temp sent from the Rittersberg region, the others all had a couple years of service under their belt. Curiously, not many mech designers in the design department of the Vandals stuck around for more than half a decade or so. Alloc happened to be one of the few exceptions due to being mentored by Professor Velten. Everyone else seemed to have been sent to the Vandals as punishment or exile. Could he talk to them about his concerns? Ves did not kid himself that he could find a place aboard the Wolf Mother without any form of monitoring. Having left his personal comm with the Privacy s.h.i.+eld behind on Cloudy Curtain, he no longer possessed any means of blocking any electronic ears and eyes pointed in his direction. "Besides, where do their loyalties lie?" Not every mech designer entered the private sector and started a business to sell their own mechs. Some wanted an easier path in life, so they applied to established mech manufacturers or design studios to exercise their craft. Naturally, only those with promise received the best job offerings where they could actually be involved in the design of a mech. Average mech designers stood no chance in obtaining an important position, and would always devolve in a glorified technicians. In fact, a large number of chief technicians graduated with a degree in mech design, only to be relegated to a job in the mech stables or mech workshops. The same pattern persisted in the military. The Mech Corps relied on many different mech designs, and they needed a huge number of mech designers to keep their mechs fresh and up to date. Working in the Mech Corps formed a particularly attractive prospect to most mech designers. They pay was bad, but the benefits were good and every mech designer a.s.signed to a design team received varying levels of access to the central database, which not only contained lots of designs and exclusive technologies, but also contained a library of very valuable textbooks. All of this made working for the Mech Corps a good starting point for any mech designer that lacked the confidence to dive into the cutthroat compet.i.tive private sector. Once they served for twenty years or more and retired from the service, they would be in a much better position to enter the market. "Since the mech designers in the service value their time here so much, why don't I see any older ones?" While the Apprentice Mech Designers aboard the Wolf Mother varied in age, they tended to be in their thirties or younger. What Ves really paid attention to was that none of them had been in the design department for long. "Where are all the veteran designers?" Had they been transferred out or cas.h.i.+ered, or did something else happen to them? Ves tried to approach the topic in an oblique manner when he conversed with some of the Apprentices during mealtime. "Say, our teams are awfully short-handed." He said in a casual manner as he ate his soup next to a colleague. "Why aren't the higher ups increasing their effort at expanding our teams?" The tired man munched on a meatpie for a bit before he answered. "No one wants to come and work for the Vandals. We're the refuse pit of the Vandals. You don't volunteer to work for us, you get sent here. And while the Mech Corps loves to dump all their problem cases in our laps, they'll be accused of committing war crimes if they did that to every mech designer they don't like." They both chuckled a bit at that. "It's not so bad here. Sure, the Vandals are a little shabbier than most, but we still have plenty of room in our three design teams. My question is why are we so chronically undermanned? This isn't a new phenomenon." "I don't know what to say." The other mech designer shrugged, though he seemed a little more reticent this time. "There used to be some mech designers in our team that are senior to me. They served for a couple of years but their exhaustion continued to grow. They would have collapsed sooner or later." "Professor Velten approached them before they got to that point. The professor offered to transfer them to a new, exciting and secret design team far away from the Wolf Mother. I don't know all the details, but from what I've seen from the faces of the mech designers who accepted, they all looked ecstatic." "Did every mech designer accept the transfer?" "Yup. You'd be a fool not to. While I appreciate the chance to contribute to the h.e.l.lcat design, it will ruin you if you try to work with it for more than a handful of years. There's something very corrosive about this design that grates at your sanity. I don't know how to describe it. All I know is that I'm already feeling that my limit is within sight." This sounded very strange to Ves. He put down his spoon and faced his colleague with open eyes. "Why is the h.e.l.lcat design so damaging?" "I asked Alloc one day, and he said that the h.e.l.lcat is a design that incorporates transcendent concepts that only Journeyman Mech Designers and higher could handle. It's always said that Apprentices aren't mature in the field of mech design, and I guess this is one of the most important reasons why." Ves believed this statement. It explained much of how the mech industry worked. He only heard an inkling about it during his studies, probably so that the professors could s.h.i.+eld them from the truth, but it might indeed be the case that advanced designs possessed such an effect. He even figured that it might be related to the intangible qualities of a mech, but that shouldn't be it. Ves did not perceive anything damaging during his own investigation of the h.e.l.lcat. It was likely the other mech designer was right, and that it was a case of overstraining the mind when dealing with concepts beyond the means of understanding. There were plenty of secrets hidden in plain sight, and Ves might eventually go crazy as well if he dove too deep in the design nuances of the h.e.l.lcat. After Ves finished his dinner, he left on his own accord. For the next several days, he broached the same topic to a couple of other mech designers. Ves wasn't close with any of them so didn't receive any good answers, but he figured that they believed that nothing sinister was at play. The key takeaway from his questioning was that the story he heard possessed an element of truth. Mech designers indeed needed to get away from a design that was slowly driving them insane. What Ves wanted to know was where they went. As far as Ves was aware of, the 6th Flagrant Vandals did not maintain a separate group of mech designers. So where did those people work? Was it another mech regiment, or something shadier? Ves ended up with more questions than answers, but he did not believe he achieved a fruitless result. While he couldn't follow up on his detail, he believed that it might be very important down the line. "That still begs the question that I haven't been able to answer." He came no closer to finding out what the Vandals planned to do. This frustrated him to no end, which slowed him down when he was on duty. He wasn't in the mood to improve the power efficiency of the h.e.l.lcat when all he could think about was whether the Vandals committed treason. There was a difference between breaking some rules and committing outright treason. His initials impressions of the Vandals painted a picture of a tragic and neglected mech regiment. Now though, Ves wondered if the Mech Corps might have a good reason to keep the Vandals at arm's length. "The Mech Corps isn't in the habit of fooling around unless it concerns internal rivalry." It was obvious that the Flagrant Vandals fell outside of the dominant factions in the Mech Corps. They stood on their own and had no one powerful to back them up. Even their own division pushed them aside. It couldn't be helped if the Vandals became disillusioned at being kept on a leash. The only problem was that every mech designer was confined to a small part of the ma.s.sive factory s.h.i.+p. Besides those who liaised with the mech pilots and mech designers, no one had gotten a glimpse of what happened at the heart of the Vandals. Ves supposed that he could have tried to pry some information from Alloc and Professor Velten, but he didn't dare pull off any tricks in their presence. Both were not only busy, but they could also be remarkably perceptive if they directed their full attention to him. The only saving grace was that they prioritized their own work over looking over the shoulders of their subordinates. "Am I in a dead end?" He was unwilling to let his inquiry end so soon without grasping even a hint of the truth. Though everything seemed fine and nothing might be wrong, he would never feel at ease among the Vandals as long as his questions remained unanswered. So far, he failed to receive any dispensations from Alloc, but Ves did not intend to give up now. Perhaps he needed to work a little longer in order to appear dependable enough to be sent on liaison a.s.signments. For now, the key was to excel in his work. After squaring away his doubts and uncertainties, Ves dove back into his work. This time, his results improved, and Ves managed to optimize the h.e.l.lcat design in a marginally better way. Just before the start of Professor Velten's next conference, Ves handed over the final set of solutions to Alloc. They were less dramatic than he hoped, but all of his solutions should be sound. Alloc only briefly skimmed through his work. "I'll take them up to the Professor the next time I see her, but you did a good job." "Thank you, sir. I was hoping for better, though." The Journeyman released a cynical smile. "We all do, but the h.e.l.lcat does everything in its way to thwart our efforts." In the end, Ves grudgingly received Alloc's approval to continue working on his own pace. This was important to Ves because he would be able to continue to pick out the best a.s.signments. At the next conference meeting, a routine of sorts had already settled. The Professor made some inconsequential announcements while the Journeyman walked to the front to mention their latest excuses why they hadn't made any better progress. Professor Velten appeared to be paying serious attention, but Ves questioned whether her mind was even present. Sometimes the old lady doddored off. After the conference, Professor Velten suddenly turned around and called up Ves. "Mr. Larkinson! Please come with me!" For a moment, Ves thought he had been caught. Yet no one really paid any attention to the call besides Laida and Pierce. With some reluctance, Ves filed into the Professor's private office and sat down in front of the Senior Mech Designer. She immediately broached the topic as soon as he sat down. "It has come to my attention that you are a relatively successful mech designer." Why did she ask him that? "Success is a difficult term to quantify, but arguably yes, I do believe I have done well." "When your records first came into my view, I did not think much of your prior experience. An Apprentice with only two original designs under his belt is barely a genuine mech designer. So it is a surprise for me to hear that you are one of the primary mech designers of a design that's been all the rage in the market right now." "Huh? Ah, what I mean is, which design is selling well?" "The Crystal Lord, your landbound rifleman mech design." You're Read Return of the Net Gaming Monarch Chapter 194 online. If you find any errors or translatation mistakes, please let us know so we can fix that as soon as possible. 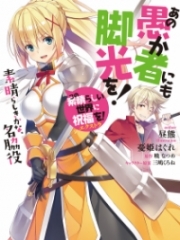 You're reading Return of the Net Gaming Monarch by Author(s): Devil May Cry, 妖邪有泪. 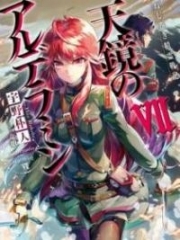 This novel has been translated and updated at LightNovelsOnl.com and has already 58 views. And it would be great if you choose to read and follow your favorite novel on our website. We promise you that we'll bring you the latest novels, a novel list updates everyday and free. LightNovelsOnl.com is a very smart website for reading novels online, friendly on mobile. If you have any questions, please do not hesitate to contact us at [email protected] or just simply leave your comment so we'll know how to make you happy. Current Time is 20-Apr-2019 16:11:07 PM.